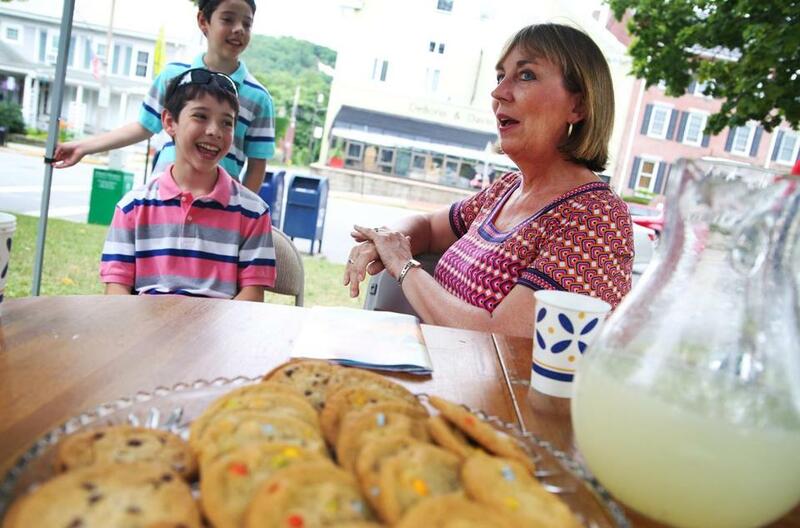 Relic Reilly (front left) and his twin brother, River, talked to state Senator Barbara L&apos;Italien during one of her "kitchen table conversations." Years ago, women’s political action committees would line up behind the lone female candidate in a given election, focusing all their resources on elevating her over a crowded field of guys. This year, so many women are running for certain seats that endorsing one means, of necessity, snubbing others. When the National Women’s Political Caucus endorsed state Senator Barbara L’Italien for the Third Congressional District this month, it bypassed four others: Alexandra Chandler, Bopha Malone, state Representative Juana Matias, and Lori Trahan. All five women competing in the Democratic primary met the qualifications for the caucus, which backs women of either party who support abortion rights. Likewise, EMILY’s List — the fund-raising powerhouse that recruits female Democrats who support abortion rights — has been playing favorites in this election cycle, sometimes to the displeasure of individual candidates. Endorsements can be a dime a dozen in certain races, with candidates touting their embrace by unions, elected officials, and interest groups to appeal to different blocs of voters. But some endorsements carry more weight than others, delivering not just a seal of approval, but money and resources that can be tapped for TV ads, mailers, phone banks, and signs. EMILY’s List is one of the oldest and most successful PACs, with a national web of members who heed endorsements and funnel their donations into promising candidates’ campaigns. And in races where the field is crowded, the endorsement of a key constituency can help a candidate stand out. That can be disappointing to other female candidates, though, a phenomenon that is playing out around the country. Notably, in the Georgia governor’s race, EMILY’s List threw its substantial weight behind Stacey Abrams rather than Stacey Evans, her like-minded Democratic competitor. Abrams, who won the primary, had been leading in fund-raising and had the potential to make history as the nation’s first black female governor. EMILY’s List also played favorites in a Democratic primary for Congress in Texas, backing lawyer Lizzie Pannill Fletcher over journalist and activist Laura Moser, who was viewed as too liberal and had been negatively targeted by the Democratic Congressional Campaign Committee. Moser lost. 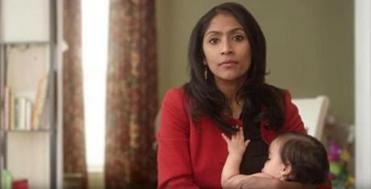 The Massachusetts Third congressional race also features several women who would break new ground. Matias, an immigrant who was born in the Dominican Republican and now lives in Lawrence, would be the first Latina congresswoman from New England. Malone, a bank vice president from Bedford, is a Cambodian refugee. And Chandler, a former Navy intelligence analyst from Haverhill, is a transgender woman. In backing L’Italien, however, both the state and national women’s caucuses pointed to her years of experience — and effectiveness — in the Legislature. L’Italien, of Andover, has served two terms in the Senate and four in the House. She moved into politics after advocating for her oldest of four children, who has autism. As a freshman in the House, she supported gay marriage and held her ground after her stance got her ousted from a leadership role at her church. The congressional seat she is seeking holds special significance in the state, as the first ever held by a woman, Edith Nourse Rogers. When Niki Tsongas claimed the seat in 2007, she became the first woman Massachusetts had sent to Congress in 25 years. But Tsongas’ upcoming retirement could surrender the seat to a male contender. As a result, EMILY’s List — which hasn’t endorsed — is keeping an eye on the contest. Tsongas said in an interview that she does not plan to endorse a candidate to succeed her. “I have certainly spoken with many of the Democratic candidates running for the seat, but I haven’t expressed support for any particular candidate, and I don’t expect to,” she said. The crowded field of 10 candidates includes five men: Jeff Ballinger, an Andover labor organizer; Beej Das, a hospitality executive from Lowell; Rufus Gifford, a former US ambassador to Denmark who lives in Concord; Leonard Golder, a Stow attorney; and Dan Koh of Andover, former chief of staff to Mayor Martin J. Walsh of Boston. The caucus provides small stipends to campaigns for printing or fliers, as well as key volunteer help through interns, who often assist with sign-holding and door-knocking. A chief priority for an endorsement is a campaign’s viability, as they seek to leverage their donors and resources to make an impact on a race. L’Italien has raised more than $700,000, making her the fourth-best-funded candidate in the race. But her campaign fund-raising is outpaced by Trahan, who has raised $1.1 million. Until now, it has been uncommon, but not unheard of, for women’s groups to pick winners from a field of female candidates with similar stances. In Tsongas’s first campaign, in 2007, she picked up the endorsement of both the Massachusetts Women’s Political Caucus and EMILY’s List — even though her rivals included another female Democrat, Eileen Donoghue, then a Lowell city councilor. Back then, conventional political wisdom still held that two women in a race was one too many — that the women’s vote would be split, and the winner, a man. But in the 2007 special election, Tsongas and Donoghue ended up as the two top vote-getters, easily outpacing the three men in the field. But EMILY’s List, which just three years ago bestowed its Rising Star award on Pressley, is another story. Because Capuano, the incumbent, has been supportive of its cause, the group has stayed out of the race.